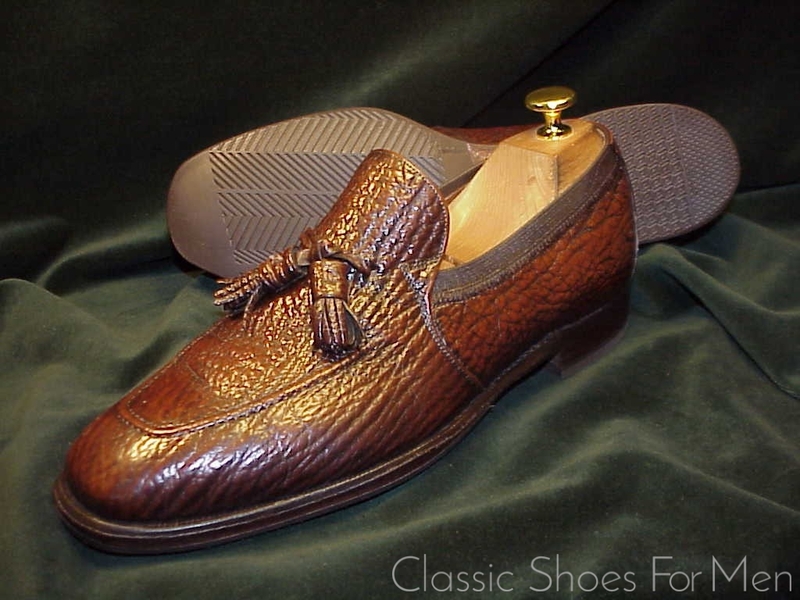 One of the most elegant and certainly among the most luxurious of all Sharkskin shoes is this vintage Johnston & Murphy Han-Raised Apron Sharkskin Tassel Loafer, a “Custom Order” shoe made at the peak of the firm’s importance in the 1950s and 1960s and 1970s. 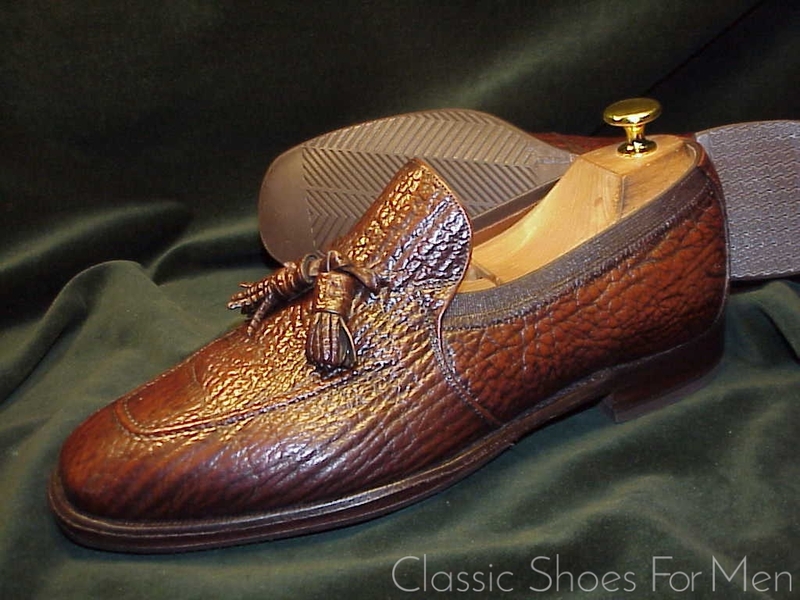 They compete with the best English and Hungarian shoes for durability and with the best Italian for detail and decoration, although these masterpieces of the shoemakers art may not be compared with either the contemptibly plebian products made off-shore and sold under Johnston & Murphy’s good name or to the deluge of modern, mass produced, Spanish and Italian exotic leather, good for a few seasons wear at best. 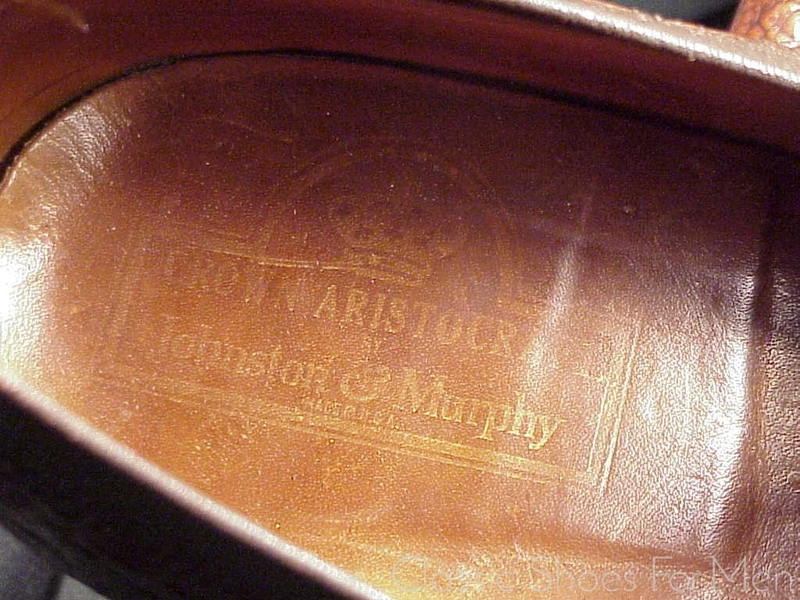 These vintage Johnston & Murphy Loaferss are, by comparison, purely American art, indestructible and expected to become more beautiful with the passage of time. 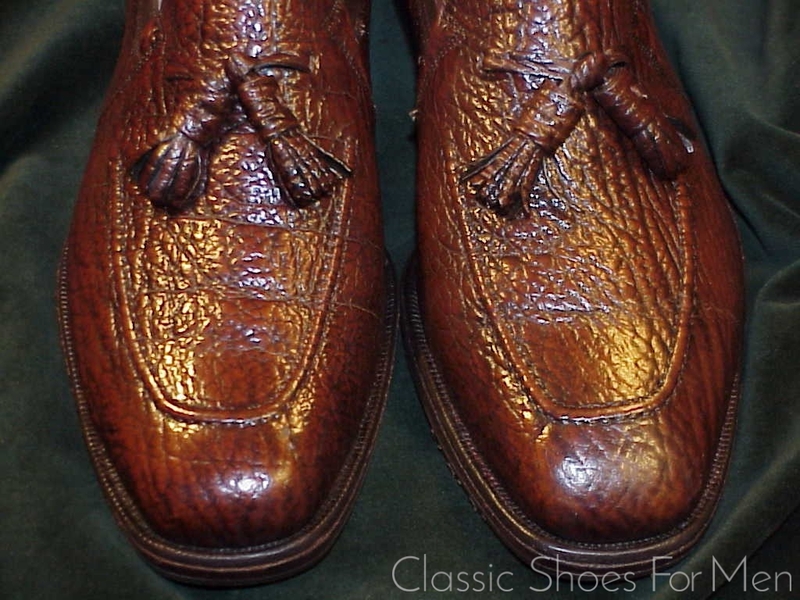 Very few good used examples are to be found on the market but to find a new pair in this difficult-to-find size is truly a small miracle. 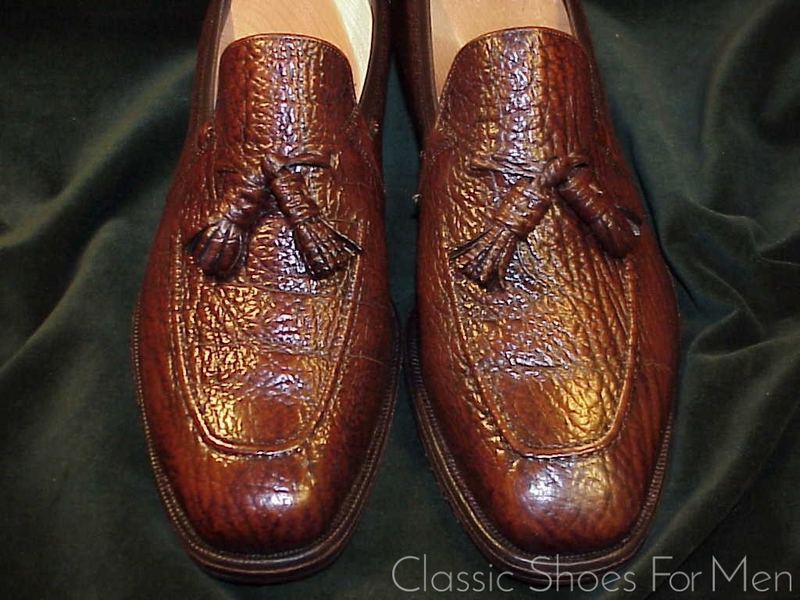 Almost all J & M’s shoes were ready made, however their flagship stores in New York,Chicago and Boston each had, at certain times, one fitter on duty for the custom trade. 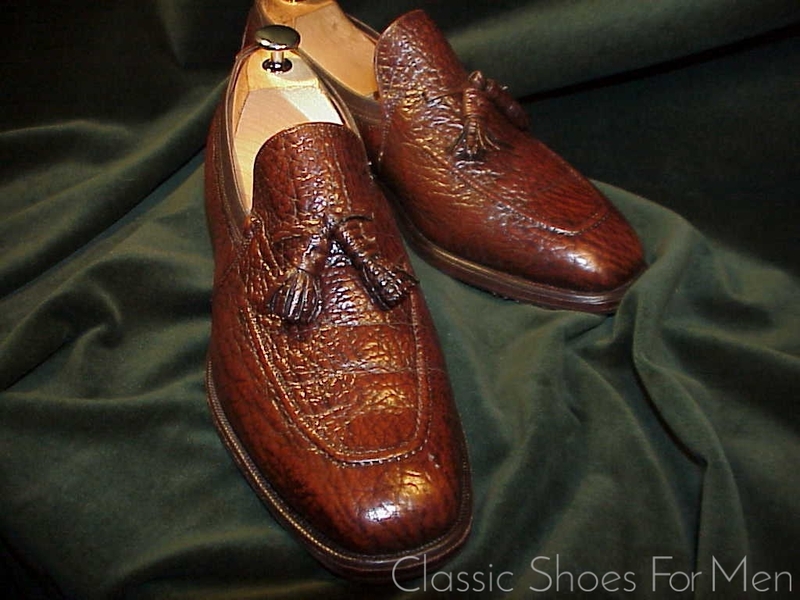 Measurements were taken, styles decided upon, leather chosen and the order sent to the central workshop where the shoes were hand made by selected shoemakers according to the client’s specifications, using specific lasts. 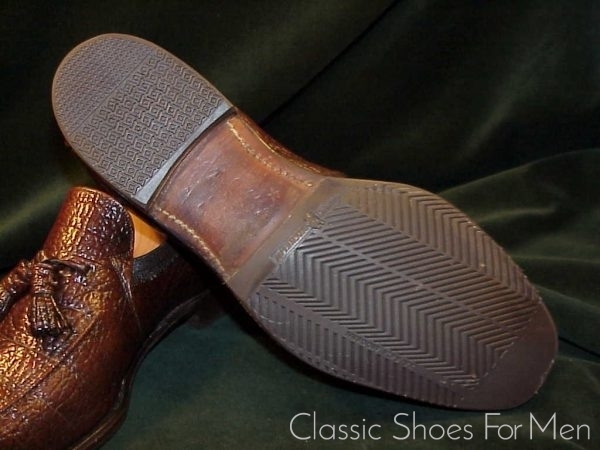 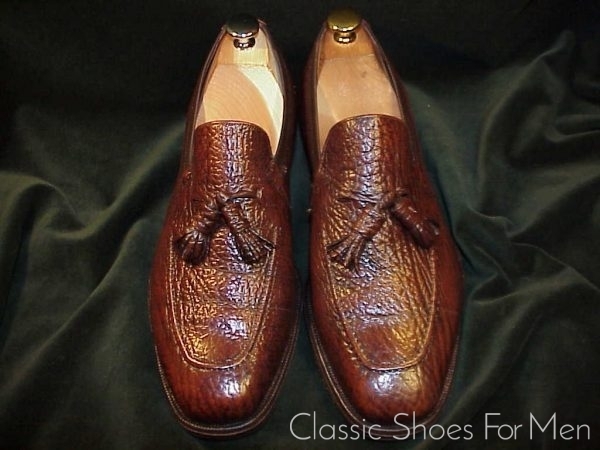 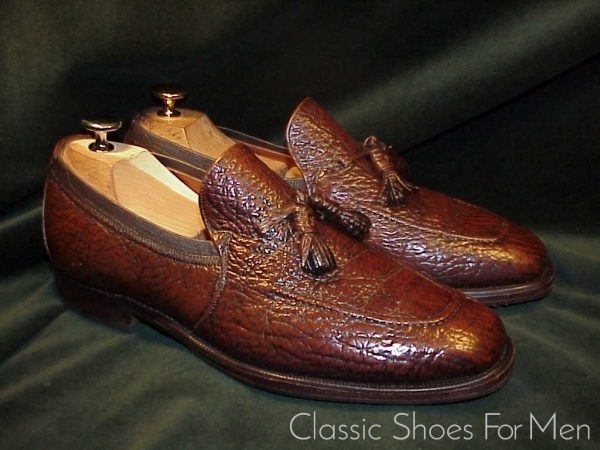 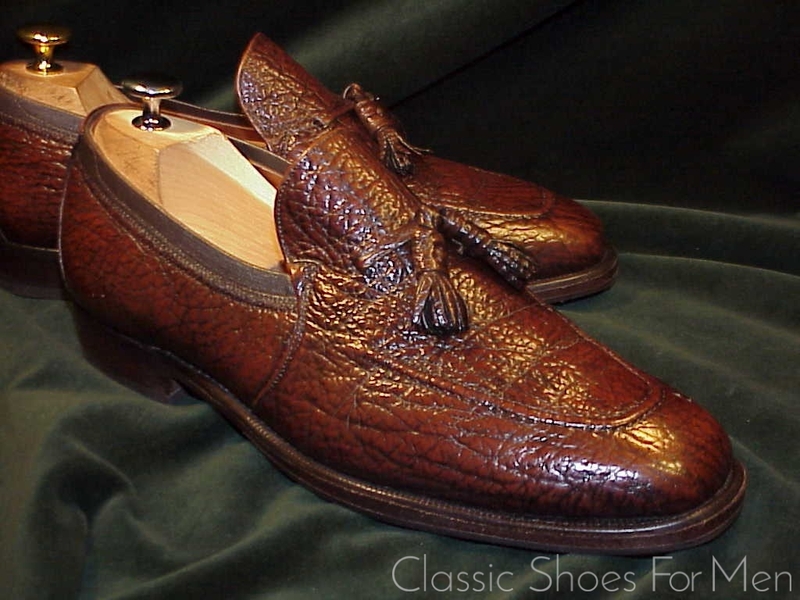 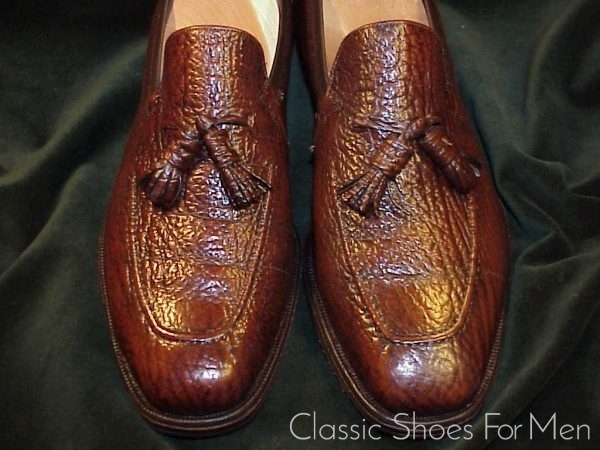 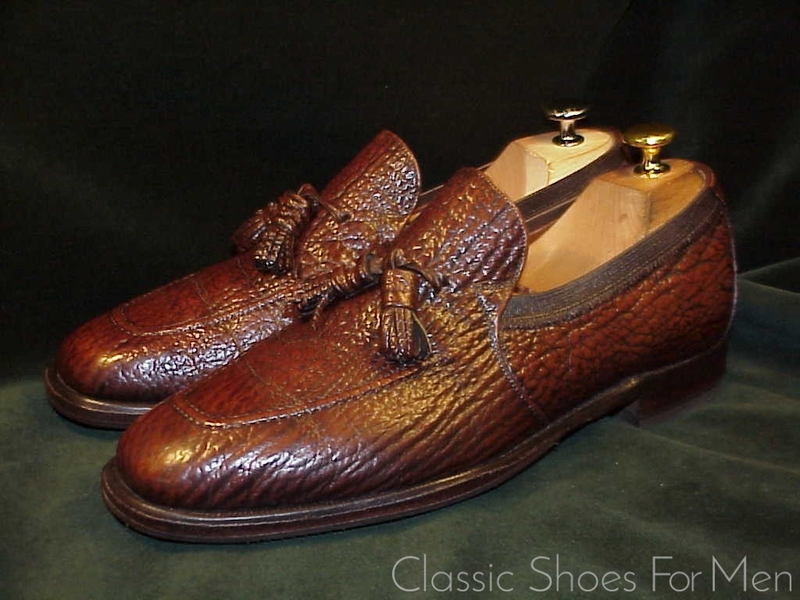 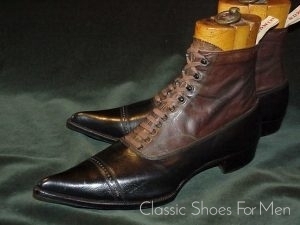 These Johnston & Murphy Custom Ordered shoes, scarce even in their day, are hardly to be found today. 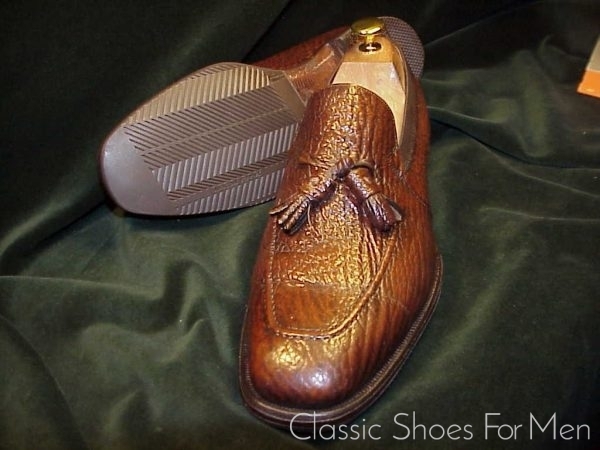 More even than the collectors item that they certainly are, they are museum pieces, were there such a museum to assemble the sumptuary and sartorial masterpieces of the 20th Century. The experienced collector will immediately recognize the sculpted form of shoe and sole as custom made. 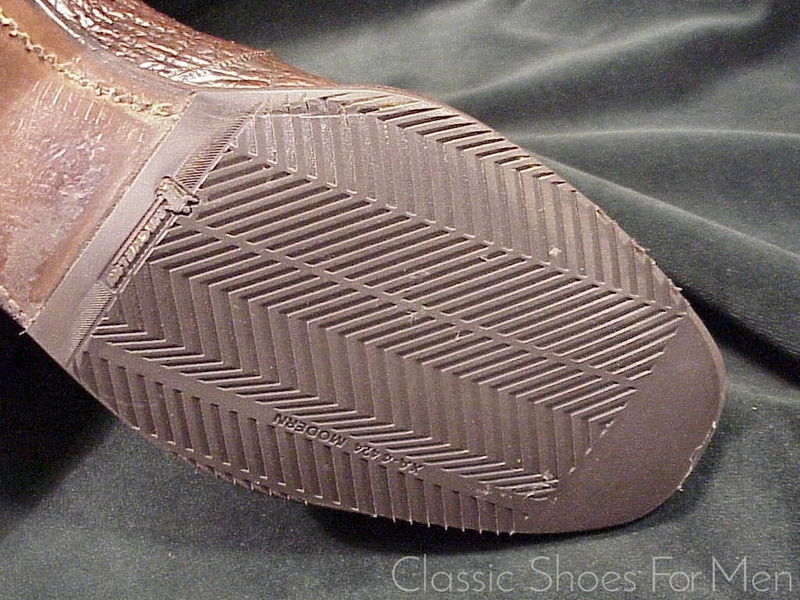 The soles are formed around a steel shank as in the finest boot-making. The narrow waist and dramatic angular flaring of the sole are characteristically American. 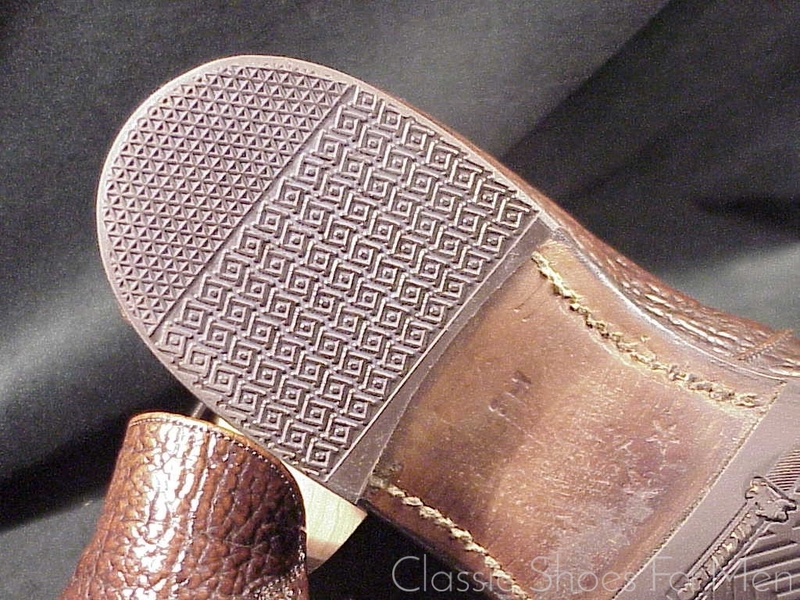 All edges are finished with double stitched borders. The stacked and dove-tailed McAfee style heel is nailed in the characteristic fashion of a custom shoe. This particular shoe, while it can be copied by a great craftsman, cannot be duplicated in its authenticity and historical significance. 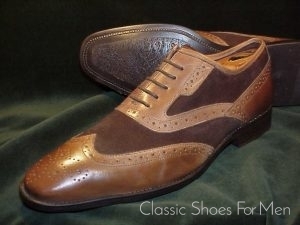 It is certainly the last new example of this great shoe in this size. For value, if there is any doubt, compare this beauty to good contemporary ready made exotic leather shoes selling today in the 2-3000 range and custom made shoes in the 4-6000 range. US 8 C.........UK 7D.......Continental 41C, for the somewhat narrower foot. . 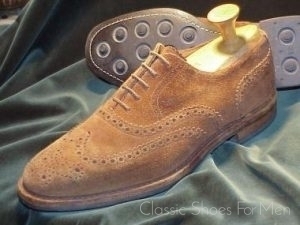 Extra Fine, tops near new, bottoms fitted with new all-weather Micheline rubber soles and heels.